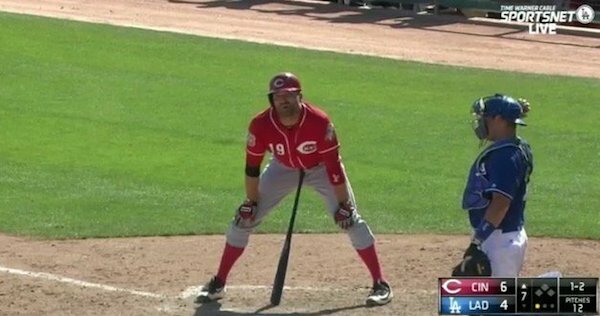 Is Joey Votto's new uh...batting stance...the best thing ever? Over! But I'm probably biased. Love me some Domingo. Am i the best pitcher in Missouri? Well Adam Wainwright probably has that title due to his career accolades. But I think you're currently the pitcher most likely to have a dominant season, yes. Any chance Gregerson closes to start the year for the Astros with Giles struggling this Spring? Storen or Osuna win the closer job? Blue Jays supposed to be announcing the closer today...who ya got? will Tyler White be any good? Do you like Joe Smith, Joakim Soria, Pedro Strop, Kelvin Herrea, or Kevin Jepsen to pick up some holds in a saves/holds league? Sure. Those guys will get some holds this yaer. Does giving up on Rusney Castillo this soon seem shortsighted? What are your thoughts on Sano and, more importantly: if he were a pitcher, who would he be? What does Freeman do this year? IS it possible to have a good year in such a bad lineup? If you (August Fagerstrom) were given 100 AB vs Greg Maddux and Randy Johnson, which would you have more success against (1995 Maddux and 2001 Randy Johnson)?? How many ABs do you see John Jaso getting in Pittsburgh? I know he's platooned, but only 3 LHP starters in the entire division, and only Lester with any real major league resume.